( can be paid with either or .) 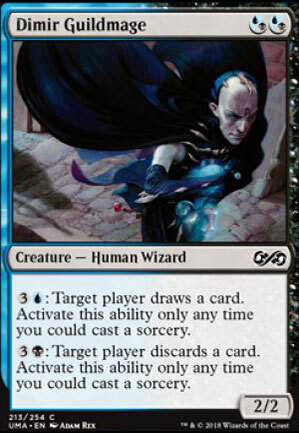 : Target player draws a card. Play this ability only any time you could play a sorcery. : Target player discards a card. Play this ability only any time you could play a sorcery.